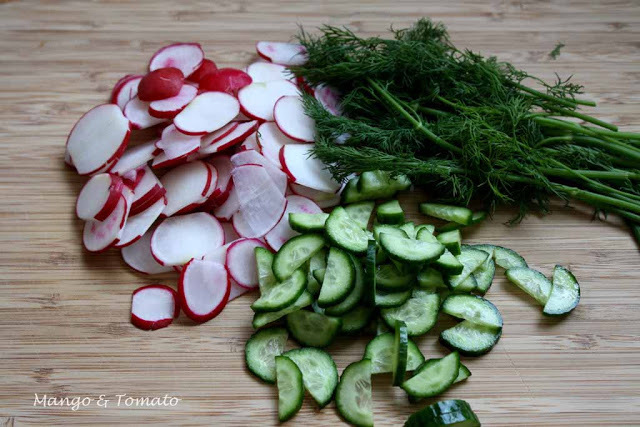 Poles have loved raw vegetable salads ever since they were introduced by Italian nobility in the 14th and 15th centuries. Their bright colors enhance every plate and with heir fresh crunch, vegetables pair well with almost any main course for dinner or lunch. And best yet, they’re a healthy way to improve your family’s diet. Favorite “binders” are sour cream and favorite seasonings are dill, chopped green onion or lemon juice. Now that hot weather is here and the farmer’s markets are trending big, there’s not much better than a fresh chilled salad on your plate. 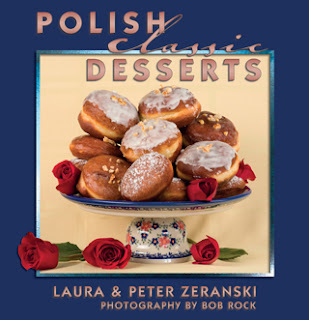 These Polish classic salads are light, refreshing and pair well with just about any main course on today’s menu. Arrange your tomato and cucumber slices alternately on a long serving dish. Sprinkle with salt, sugar, green onions and dill. Sprinkle with the vinegar. Wash the lettuce, separate the leaves and dry, then tear the leaves into bite-sized pieces. 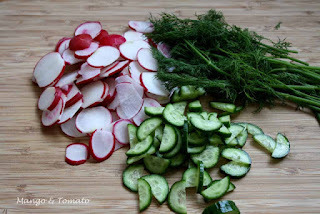 Combine with radishes and cucumber slices. Season the sour cream with sugar and salt and pour over the vegetables. Sprinkle dill over top. Serve immediately. (Note, if you wait too long before serving, the cucumbers will start giving off liquid and the lettuce will wilt). 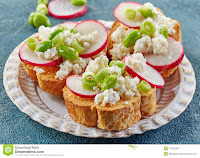 Fold the radishes into the cottage cheese. Top with green onions and salt. Chill well. Serve on the lettuce leaves or as a spread on your favorite crusty bread. Combine the cabbage and pickles. Mix in the salt, sugar, pickle juice, and oil. Arrange on a pretty dish. Chill well. 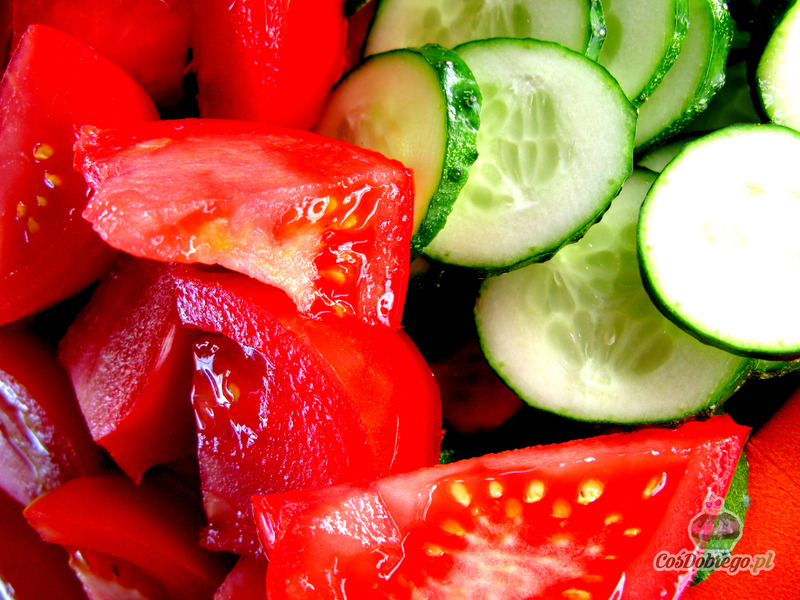 Garnish with tomato slices and serve. 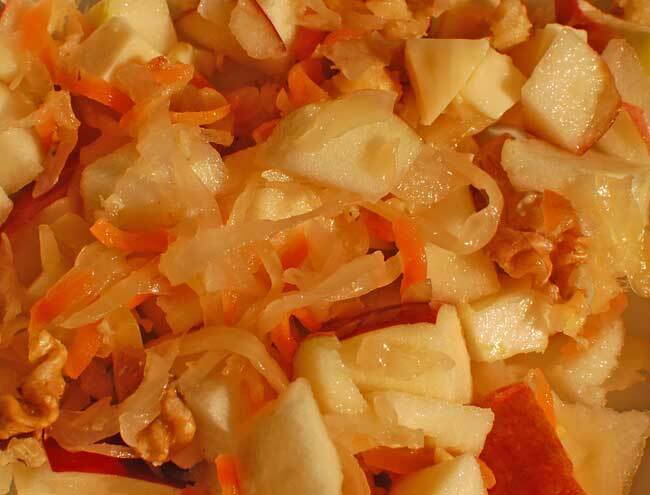 Rinse the sauerkraut really well, squeeze to drain and chop or shred finely. Sprinkle with sugar. Mix in the carrots, apples and oil. Chill well. Taste before serving and perhaps add more sugar if needed.